A good drill is one that is realistic, competitive, gives multiple touches and provides an opportunity for transfer of training to competition. In addition, drills that can be easily modified to teach additional skills are great ones to add to your coaching toolbox. In the video clip below Tom Mura of World Class Coaching uses Planet Training session software to illustrate a finishing drill that will give you a chance to work on passing, timing of supporting runs and shooting. You will find this competitive drill to be realistic and allows players to practice patterns that occur during matches. The drill is easily adaptable, as the patterns may be altered to meet the needs of your team. 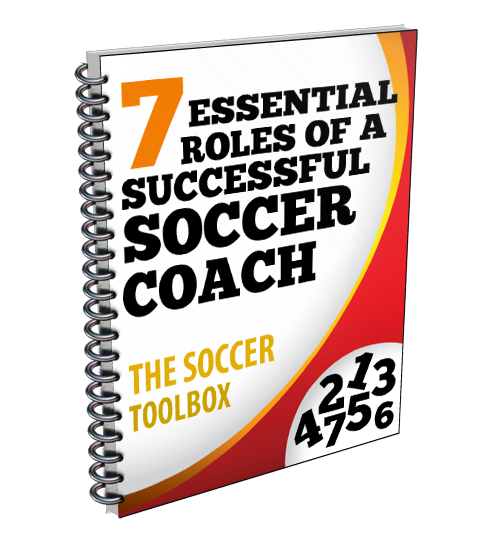 For more great soccer coaching tools click on the links above or visit the World Class Coaching YouTube Channel for other great coaching videos. The set up of the finishing drill is as follows. The drill is played on half a field. Three small goals are placed along the end line an equal distance apart. Groups of five players are placed in one of three lines at midfield. Two lines on the outsides and one in the middle. In the outside lines three cones are spaced out in a zig zag fashion from midfield to the penalty box. The first cone is to the outside, second to the middle and the third out side. One player is placed at each cone and two player at midfield. The pattern is the same on both outside lines. The first player in line passes to the second player that is positioned at the first cone. The ball is laid back to the fist player that advances it to the third player. The second player will now make a supporting run and receive a pass from the third player. The ball is now played through to the fourth player who turns to the outside and scores. In the middle line the three cones are placed in a straight line. The second player will check to one side of his cone to receive a diagonal pass from the first player. The third and fourth players will adjust opposite of the person before them. After receiving a pass from player 1, player 2 returns the pass to player number 1 who then plays through to player number 3. Player 3 then returns the ball to player number 2 who has come underneath into the open space to receive the pass. Two then plays the ball to player 4. Player four will then angle the ball back to player 3 as he makes a run. Player 3 will finish. The players in each line follow their pass to the next cone. The drill continues until each player has shot twice or until a specified number of goals have been scored. Have players rotate to different lines until each player has been in each line.